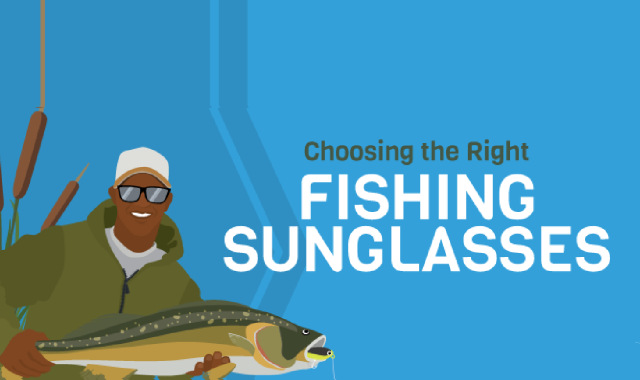 Choosing the Right Fishing Sunglasses #infographic ~ Visualistan '+g+"
Sunglasses are one of the most important and often overlooked tools for fishing. They protect your eyes from the sun and also help keep your eyes safe from objects. Beyond that, they allow you to see what is below the water. There are many great brands on the market, and finding frames that fit your style and face is one of your first decisions. Once you have found the right frames, choosing the color of your lenses – a vital part of successful fishing – is next.